30 km (19 miles) north-west of Almeria is Europe’s only desert, the Desierto Tabernas. This wild expanse of sand dunes, hills and mountains is rarely visited by rain, and home to species of flora that struggle to exist anywhere else on the continent. Prickly local residents include the yellow scorpion and the small but deadly Black Widow spider. Tread carefully. The Tabernas is largely responsible for making Almeria the driest city in continental Europe, with annual rainfall of just 200 milimetres. It is also the second-warmest city on the continent (first place goes to another Andalusian gem, Seville), with annual temperatures never dipping below 19 degrees celsius (66 degrees Fahrenheit). As if that weren’t enough to entice sun-junkies here, a temperature below freezing has never been recorded in Almeria. During the 1960s and 70s, the dusty, rugged landscape of Almeria’s Tabernas desert became a popular filming destination for Hollywood. Many classics of that era were shot here, most famously the Sergio Leone westerns starring Clint Eastwood. 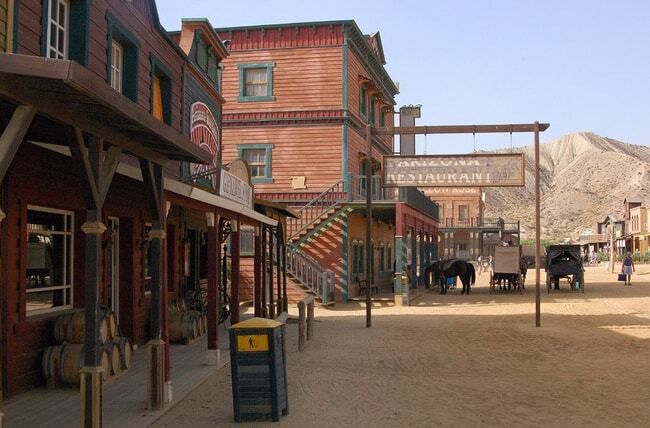 You can visit three of the Wild West sets that were built specifically for these classics: Little Hollywood, Fort Bravo and Western Leone. The last city in Andalusia to be held by the Republicans during Spain’s 1936-39 Civil War, Almeria was subjected to repeated and devastating bombings. So relentless were the attacks that engineers built a 4.5km (2.7 mile) network of subterranean tunnels in which civilians could take refuge; today, 1km (0.6 miles) of these underground havens – called the Refugios de la Guerra Civil – can be visited (tours only in Spanish). 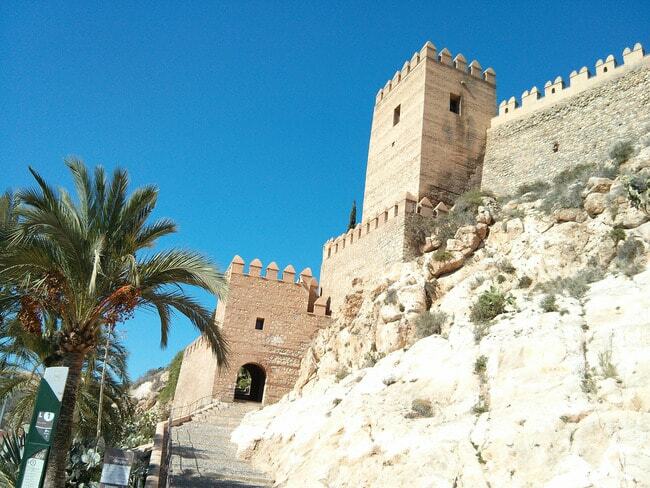 Though not as famous as the Alhambra in nearby Granada, Almeria’s Moorish fort, or Alcazaba, is a magnificent structure. It was built during the latter half of the 10th century by Abd al-Rahman III, the powerful caliph who was also responsible for Córdoba’s Medina Azahara. Almeria’s splendour and importance during this period is captured in the Spanish saying, “When Almeria was Almeria, Granada was but its farm”. Just 40km (25 miles) east along the coast from Almeria is the spectacular Cabo de Gata-Nijar Natural Park – the biggest protected nature reserve on the Mediterranean coast. Here you’ll find beautiful beaches, breathtaking mountains and dunes and over a thousand species of flora. You can explore its uninhabited expanses by foot, bike or horseback, marvelling as you go to the castles from which Moors and Christians once battled Berber pirates. The artistic splendours of Almeria are not solely owed to the city’s period under Islamic rule. You can also visit the Gothic and Renaissance-style cathedral, which was built between 1524 and 1562 – a mere blink of an eye compared to the construction periods of Andalusia’s other great cathedrals. It served as both a place of worship and a defence against marauding Berber pirates. Even by Andalusian standards, Almeria is an elegant and stately city, but it’s often overlooked in favour of the region’s more famous destinations such as Seville and Granada. In choosing to come here, then, you’re picking an underdog city – a place that will give you the incomparable pleasure of going where others don’t and discovering something new and beautiful.